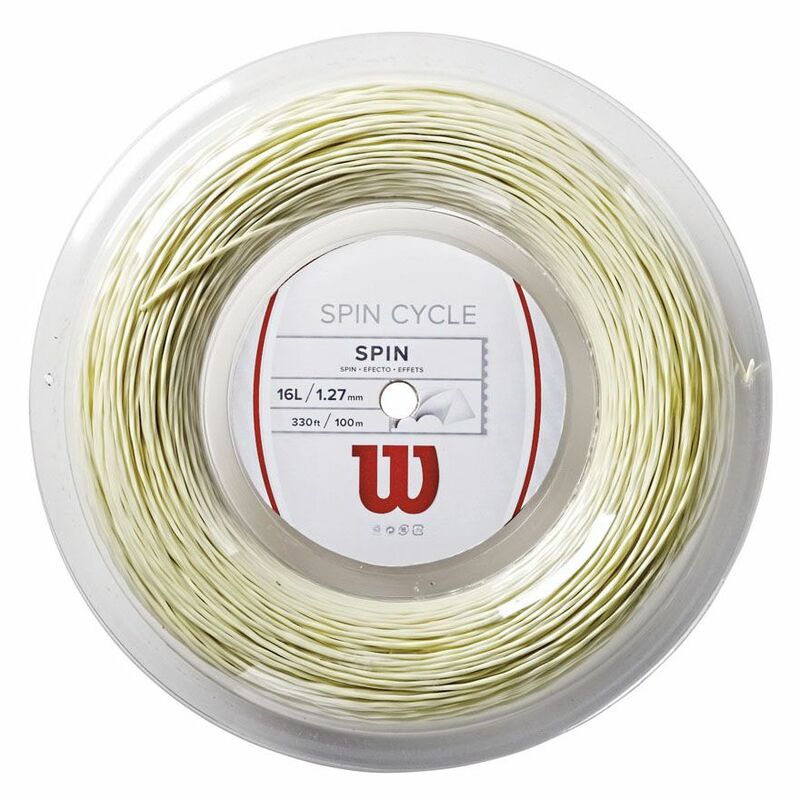 The Wilson Spin Cycle tennis string has a shaped and twisted structure that improves durability and helps achieve a spin enhancing ball bite. The string has a gauge of 16L (1.27mm) and is available in a white colour. It is supplied in a 100m (328ft) reel. for submitting product review about Wilson Spin Cycle 16L Tennis String 100m Reel .